I was contacted by a representative from a giant, international, airline manufacturer who wanted to build a mobile flight simulator to take to events and schools. You may recall I transported the DIY Triple Screen Flight Sim and the DIY Roll-Away Flight Sim to several events. His team had an empty shell from an actual airplane cockpit, with the real controls, but no instruments or much of anything else. Their task was to make the cockpit shell into a mobile flight simulator. Maybe you have had this idea too. 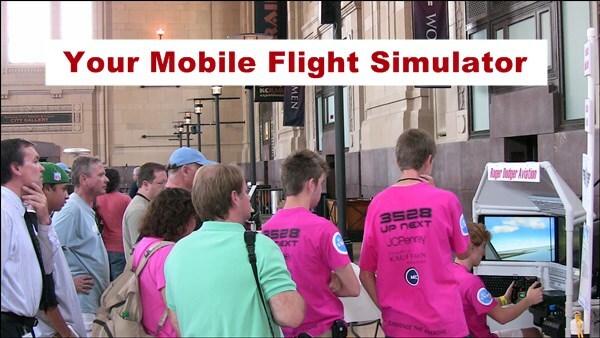 I have a few suggestions for your team regarding this mobile flight simulator. To start off, I believe many of us in the industry tend to regard a mobile flight simulator on an informal spectrum with “more realistic” on one end and “less realistic” on the other. As I understand your need, you will be transporting this simulator to events, setting it up for use by attendees, and then moving the simulator again. For a mobile flight simulator such as this, I have discovered realism is less important than reliability. It either works on the day of the event or it doesn’t. Therefore, expo simulators fall into a binary, more than a spectrum from an operational standpoint. So with that in mind, I have three suggestions. 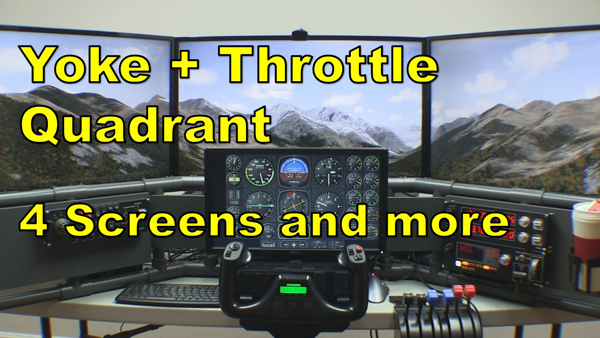 The first suggestion is to purchase a retail flight sim control yoke, and hack it. By “hack” I mean you remove the interior components and incorporate them into the airplane cockpit that you showed me in the picture. 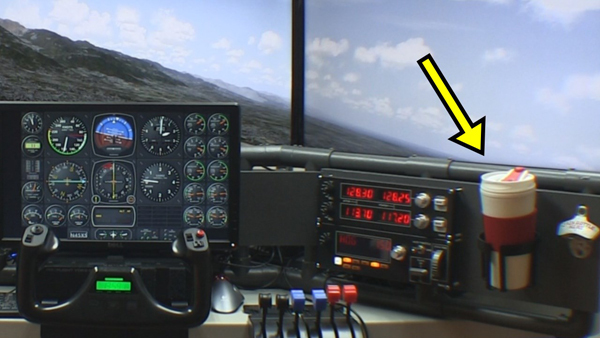 Everything you need for your mobile flight simulator is inside a retail flight sim yoke. 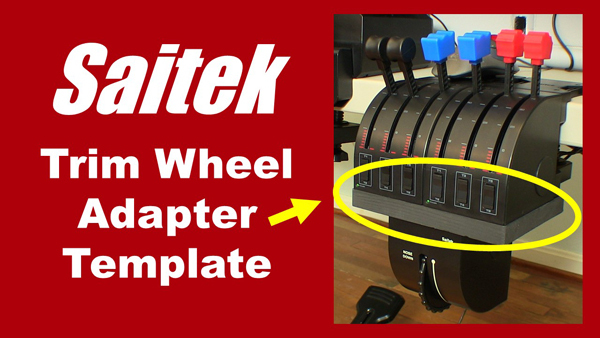 The yoke contains potentiometers that measure pitch and roll deflection, so you can integrate those components into the actual controls on your airplane. The potentiometers are already wired into a circuit board and so is a USB cable. When you plug in the USB cable to a PC, it will simply recognize the controller and install the drivers. You can then use any flight simulator software you want. You could do the same thing with retail rudder pedals and a throttle quadrant. In my experience, it’s a logistical challenge to safely transport and set up a mobile flight simulator. It is possible some part of your simulator may not work correctly even though you were very careful and were prepared for the event. If you can’t get it to work, the whole day is wasted. My other suggestion is to simply install retail off-the-shelf flight sim controls in your airplane cockpit. This looks decidedly less realistic, but you gain an extra layer of reliability because you can have spare parts in reserve. For example, if the yoke isn’t working on a particular day, you can simply switch it out with a new yoke. The same is true with the rudder pedals and throttle quadrant. Finally, third option would be to use both strategies. Perhaps you start with Suggestion #2, which is quick and simple, and then maybe a year later move up to Suggestion #1, which is more complex but looks more professional. This approach gets you up and running for early success and also provides a path to improvements. 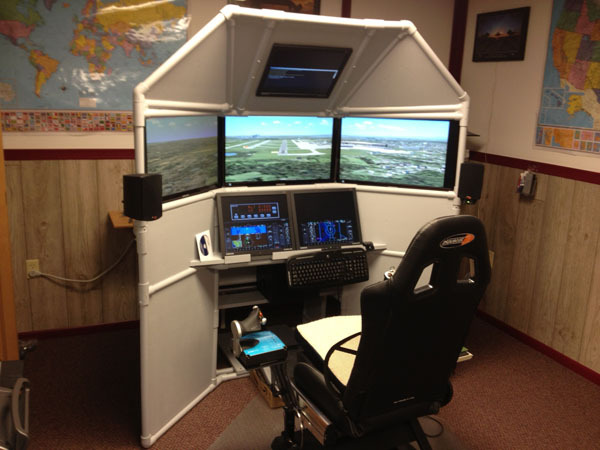 Later, you and your team will have more experience with the flight simulator hardware and software. Therefore, it will be easier for you to re-install the real controls and get them running with the PC. Your team and stakeholders will feel good about the progression of the project. I hope these suggestions are helpful. I’m interested in knowing how your flight simulator turns out so please let me know what you ultimately decide to do. This project combines two of my favorite things: a cozy fireplace and my flight simulator. Why not simulate a nice cozy fireplace inside a flight simulator?! 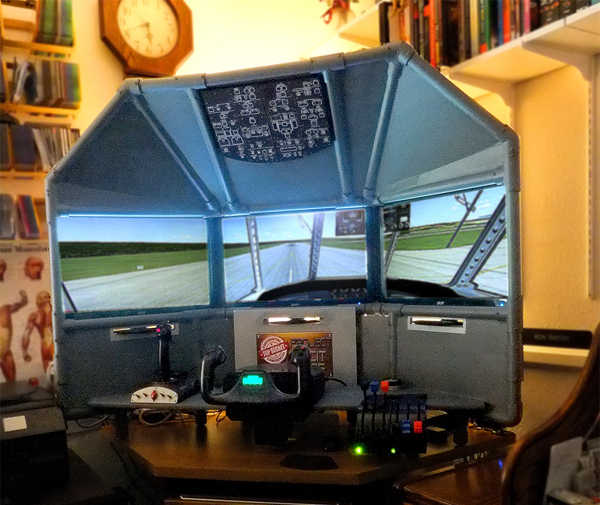 This DIY flight sim is ready for winter! 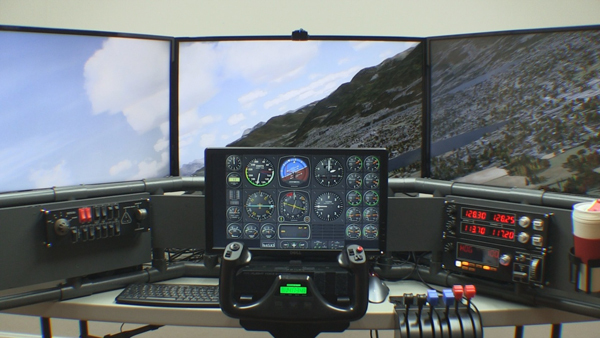 I combined the warm atmosphere of a crackling fireplace with the fun of flying my simulator. It’s just the thing for those freezing winter months. You can do this too, it’s easy to set up. My flight simulator has two displays connected to the graphics card. The large display is a 40″ HDTV and the smaller display is a 19″ VGA computer monitor. 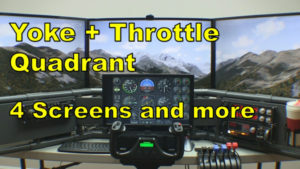 Typically, I display the flight simulator outside view on the large screen and the flight instruments on the smaller screen. For today’s project, I’m only running FSX on the large screen. Start FSX and start a flight. 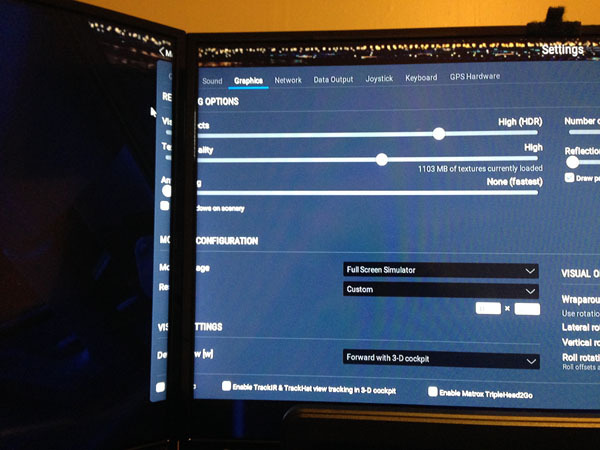 Select Windowed Mode from the View Menu and resize the window so it fits on one screen (the large screen in my example). Next start a web browser on the second monitor and find a fireplace video on YouTube. Play the video and select full screen. This is how I my smaller display shows a cozy, crackling fireplace. 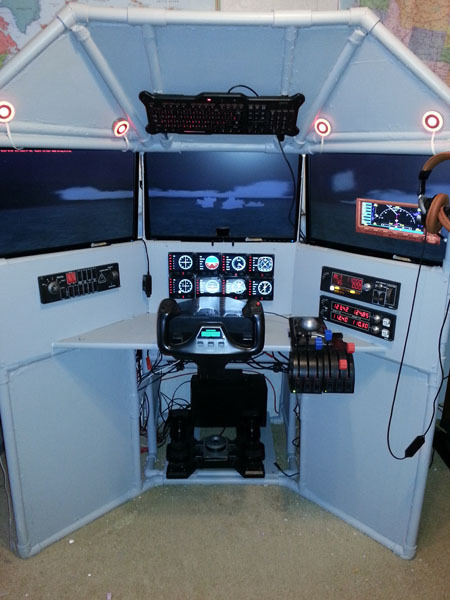 The flight simulator you see in the pictures and video is the DIY Flight Sim Pod. You can build this same thing in your own home. These instructional videos and manuals show you how to build a big, beautiful, flight simulator. The yoke, throttle quadrant, switch panels, etc. all came from Amazon. All we need now is a nice hot apple cider. I recently discovered sugar free apple cider from Alpine. It doesn’t need any sugar because of what we add next: cinnamon flavored bourbon. Apple and cinnamon… oh it’s so, so good! Leave the ice and snow outside, you’re flying in comfort. 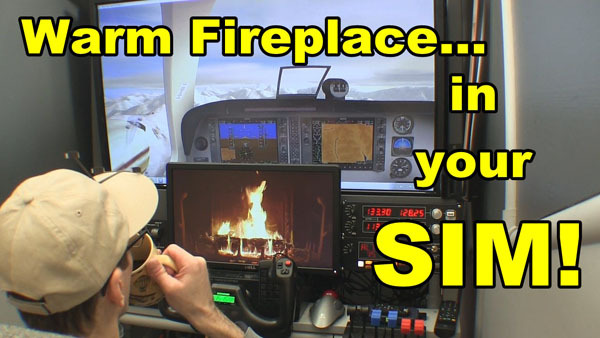 Warm fireplace in your Flight Sim! 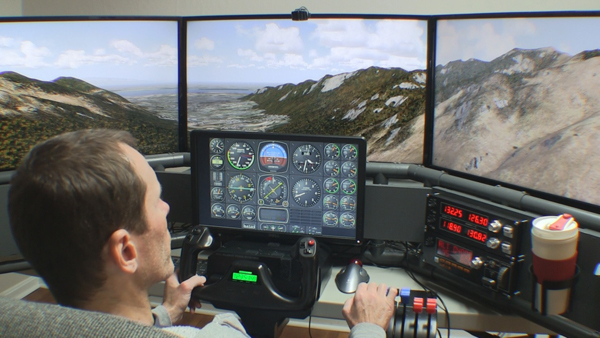 People around the world are building home flight simulators this winter. 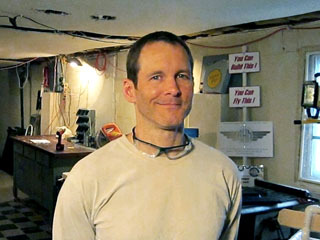 These guys find inexpensive materials at home improvement stores and build their own airplane cockpit at home. Why is January a great time to build a DIY (Do It Yourself) flight sim project? First of all, many people get new flight simulator software and computer equipment for Christmas and are ready to upgrade their home cockpit. Also, the holidays are over and now people are returning to their hobbies. 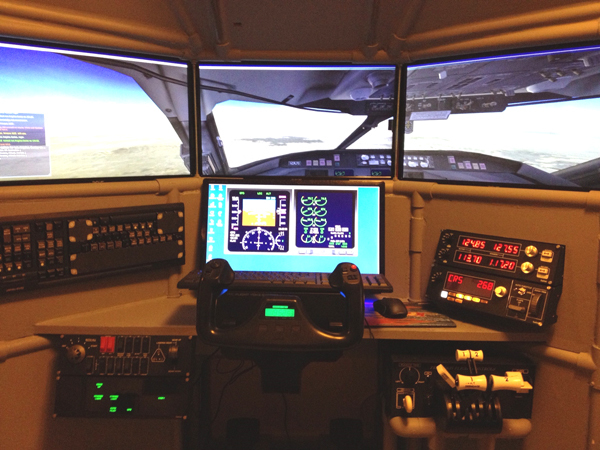 Flight simulation is a great way to learn about aviation during the cold winter months. Consequently, I typically see an increase in DIY Flight Sim business and website traffic starting in January. You don’t necessarily need a workshop for building home flight simulators, so many people build their project in an apartment or even a dorm room. You don’t need outside ventilation because no harsh chemicals, paints, or adhesives are used with these projects so you can build indoors. Let it snow! 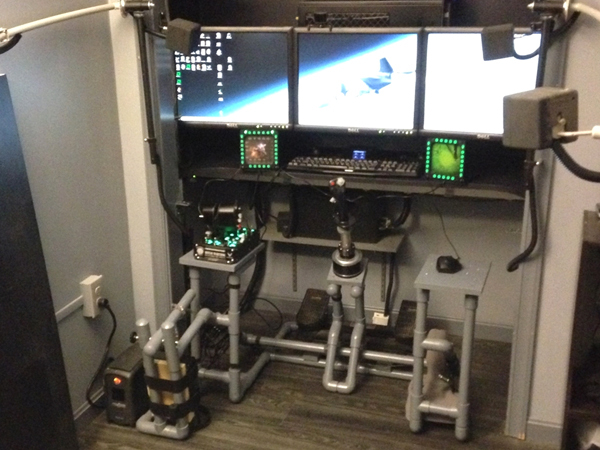 Is your home flight simulator nothing more than a desk with a few monitors and a joystick? You can make a more realistic airplane cockpit with inexpensive materials from a home improvement store. 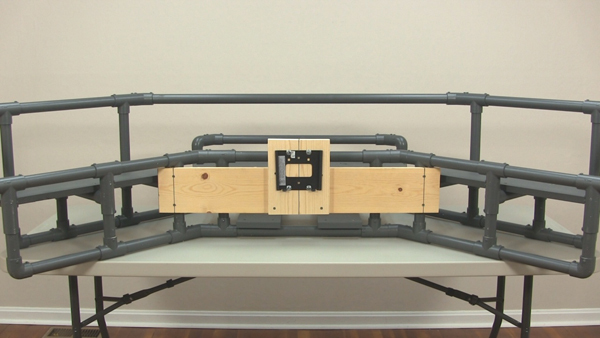 These guys build home flight sims with PVC pipes, lumber, and Styrofoam insulation panels. Notice they also painted their projects because painting is also inexpensive, easy, and gives the project a truly finished appearance. We are fortunate to live in a time when we have so many affordable choices for computer equipment and flight controls. 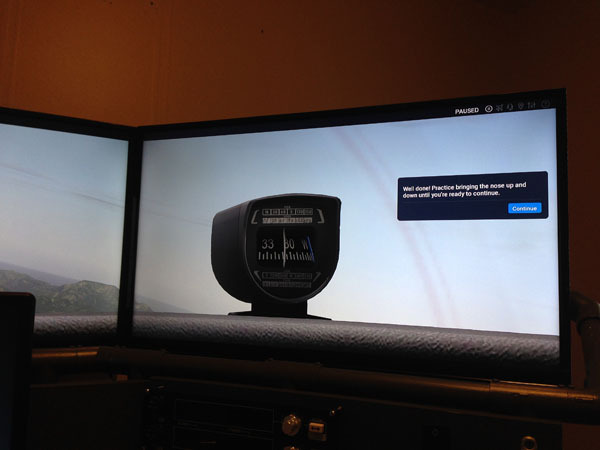 For example, it is now possible to use multiple high-definition HDTVs as displays for a flight simulator. In addition, computers and graphics cards are more powerful than ever. 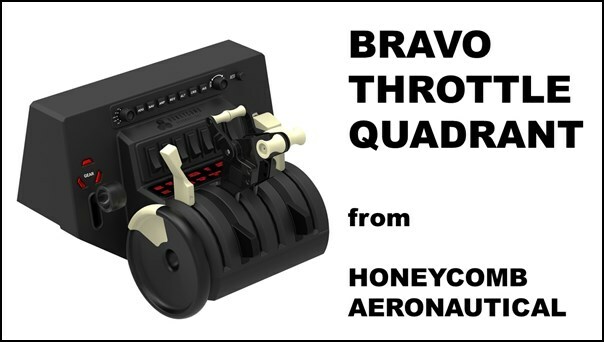 We have more choices than ever for flight sim control yokes, rudder pedals, throttle quadrants, switch panels, and more. 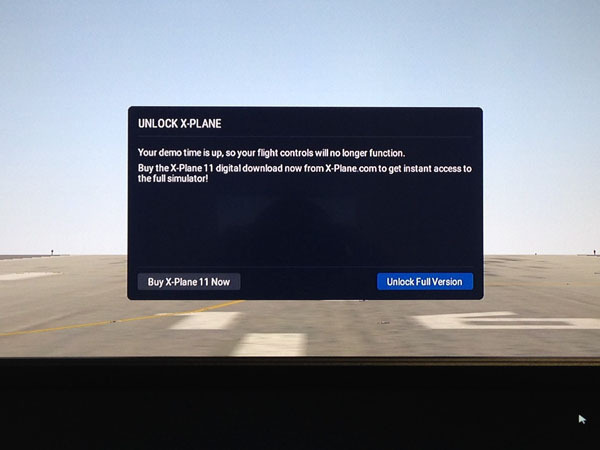 Finally, the flight sim software of today is better than ever. Lockheed Prepar3D, X-Plane 11, FSX Steam, and Aerofly FS2 all boast improved performance and functionality. Combine inexpensive building materials with affordable computer equipment and you can have a powerful and realistic flight simulator for your home. Builders modify their projects to match their needs and resources. 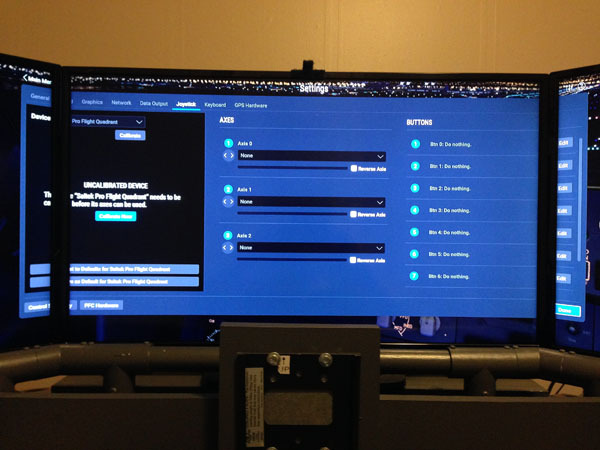 For example, they can scale a frame to fit around 24″ monitors, or 27″, or 32″ or whatever. Also, they can use one large display, or multiple displays. Some builders add modified keyboards, additional lights, or even drink holders. Are you building in a spare room or just a spare closet? These guys can fit a fully functional flight sim just about anywhere. If you typically fly airplanes with a yoke and throttle quadrant, then that is what you will want to build. On the other hand, if you use a HOTAS joystick and throttle, then you will want a DIY frame that supports those flight controls. If you fly helicopters, there’s a helicopter collective project for you too. 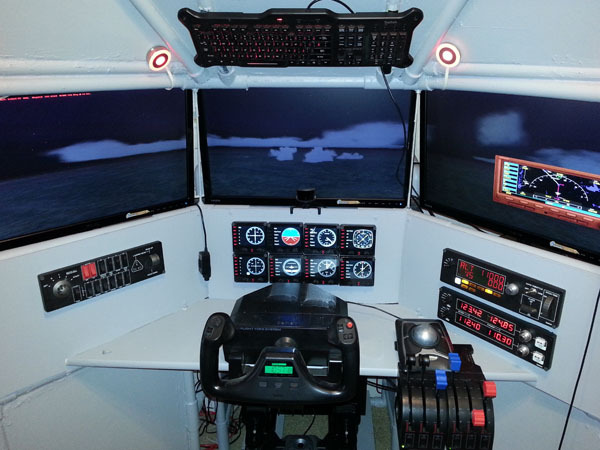 See all these examples of customized flight sim projects in the Customer Gallery. The most difficult part of any building project is just getting started, so get going now. You may make some mistakes along the way, but they will be inconsequential because you’re using inexpensive materials. Get building and get done, so you can get flying! Our customer, Tom, sent in these pictures of his completed project. 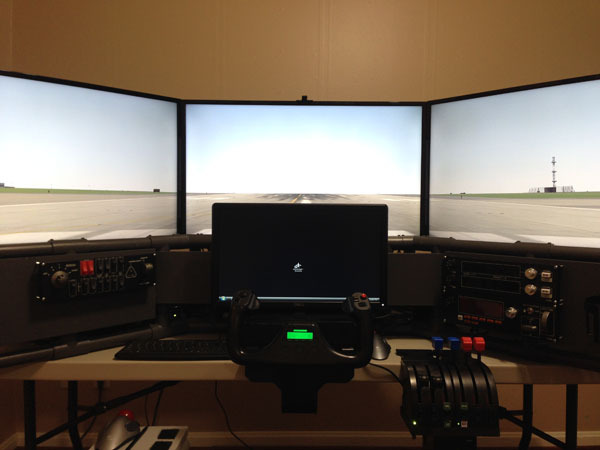 He installed a Saitek Pro Flight Instrument Panel in a DIY Triple Screen Flight Sim. Actually these are eight separate units that combine to work as a complete instrument panel, therefore he has the standard six flight gauges, plus two VOR displays. The Saitek Pro Flight Instrument Panel you see in the picture is eight separate flight instruments. Each unit can be set individually to display whatever instrument you choose, in addition, you have 15 different displays to choose from. 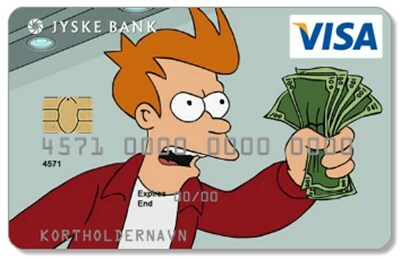 The units cost $170 to $190 USD depending on where you purchase from. Out of Stock. There is a massive, world-wide, back-order situation on all Saitek Pro Flight merchandise. All orders will be filled on a first-come, first-served basis. Order now to reserve your spot in line. You will not be charged until the order ships and you can cancel at any time prior to shipment. Orders placed now are expected to be shipped in 6 to 12 weeks. MadCatz recently sold Saitek to Logitech. Gameindustry.biz reports that MadCatz purchased Saitek in 2007 for $30 million, but is now selling it to Logitech for only $13 million. We can only hope that Logitech can keep the Saitek product line in production and going strong for years to come. I’ve owned several Logitech products (keyboards, mice, etc.) and I’ve always been happy with their reliability and functionality. I know that there have been concerns lately about the workmanship in Saitek products and consequently I hope the sale to Logitech improves the reliability of the entire Saitek product line.